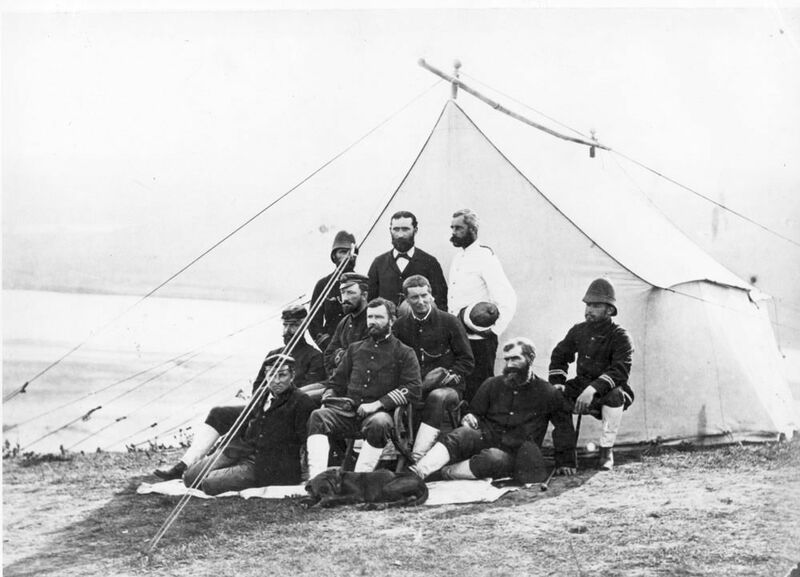 Officers from the iron screw corvette HMS Active (launched 1869) pictured outside their tent as members of the Naval Brigade during the Zulu Wars, circa 1879. This Officers from HMS Active During the Zulu Wars Art Print is created using state of the art, industry leading Digital printers. The result - a stunning reproduction at an affordable price.